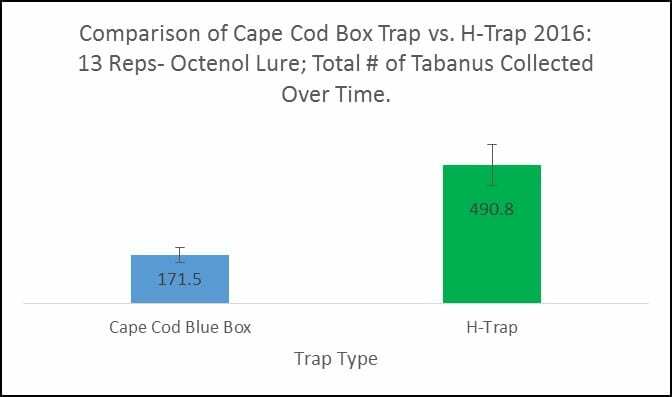 During the experiments charted below, the Bite-Lite horse fly trap and the Blue Boxes were baited with no lure and an octenol lure. 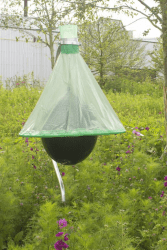 All total, testers conducted 13 repetitions and collected 872.5 horse flies with four traps. 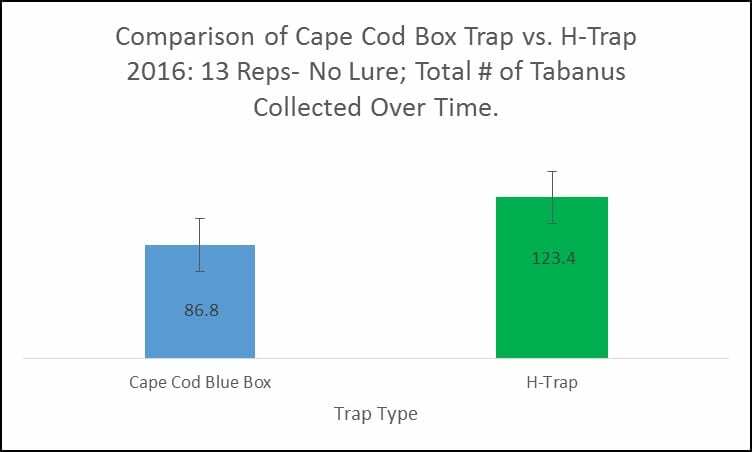 In all comparisons with lures, the H-trap performed significantly better than the Cape Cod Box trap.